Bilodeau Capalbo, LLC is a law firm with more than 35 years of combined experience in several legal fields. Our attorneys and staff perform work with a high degree of care to ensure that you receive the excellent service that you need. We make it a priority to return calls within one business day and provide an honest assessment of your situation. 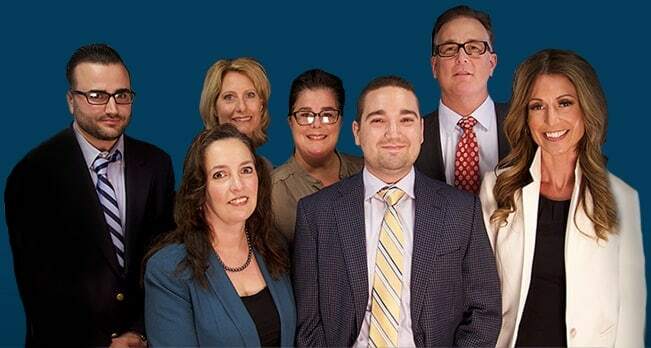 If you need advice or representation in matters related to family law, estate planning, real estate, insurance claims, criminal defense, or accidents in Rhode Island, Connecticut, or Massachusetts, you should contact us about your situation. Our lawyers are here to listen to your needs and advocate for the solution that you seek. In Rhode Island, most divorces are granted on the basis of irreconcilable differences that have triggered the marital breakdown. However, Rhode Island also allows fault-based divorces, which means that whichever spouse seeks the divorce needs to prove that the other spouse's behavior caused the divorce. During a divorce, property division is a commonly disputed issue. A judge is required to divide the spouses’ marital property equitably (fairly), but complexities may arise with regard to whether an asset is marital property and whether a deviation from a 50/50 division may be appropriate. Also, issues related to children, such as child support or custody, often create heated controversies during a divorce. When arranging a custody plan, the child's well-being is of paramount importance. Our Rhode Island divorce attorneys can help you make sure that your voice is heard in pursuing a custody arrangement that is appropriate for you and your child . Estate planning may entail drafting a number of different instruments to dispose of your property, including wills and trusts. Wills are legally binding documents that allow you to designate how you would like your possessions to be distributed after your death. A will needs to be signed or acknowledged by you in front of two or more witnesses who are present at the same time and who can attest and subscribe the will in your presence. In the will, you can name an executor to pay debts and taxes and then transfer what is left according to your wishes. The executor needs to be at least 18 and of sound mind. Although a trust is more complex and more expensive than a will, the benefits can be recognized after death and can actually save your loved ones the time-consuming and expensive probate process. As opposed to a will, the trust beneficiaries will receive their inheritance immediately, or in accordance with the mandates of the trust. Real estate matters can deal with sales, transfers, property owner's rights, title issues, development, zoning, land use, adverse possession claims, encroachments, foreclosure, residential and commercial closings, and litigation. For many people, the sale or purchase of a home is the most expensive transaction of their lives. An attorney can help with all of the aspects of a sale or purchase. Among other things, a buyer should choose an attorney to perform a title examination. As part of the title examination, the deeds and records will be reviewed to determine issues of title, including whether the seller owns the property and whether anyone else has a lien, encumbrance, or other claim against the property. For example, the title examination may uncover unpaid taxes or an easement granted to a neighboring property. When you purchase insurance, you assume that it will take effect if needed at some point in the future if certain adverse events happen to you. However, many people have difficulty securing the coverage for which they paid. Insurance companies are businesses, and although they owe a duty to act in good faith toward their policyholders, they often put profits ahead of their duty. Insurance bad faith lawsuits may be brought when an insurer leaves a policyholder without coverage when it is owed. It may be bad faith for an insurer to deny a valid insurance claim, delay on the payment of a valid claim, pay too little for a valid insurance claim, try to change policy terms while a claim is being evaluated, or fail to properly investigate a claim. In addition to relief under a bad faith statute, you may also have a claim under the Unfair Claims Settlement Practices Act or a claim for unfair or deceptive consumer practices. We assist people who are being prosecuted for white collar crimes, drug crimes, DUI/DWI, or traffic offenses. When you are charged with a crime in Rhode Island, the prosecutor must establish their case beyond a reasonable doubt. This is a very high standard, and you should not assume that the prosecutor can meet it. An experienced criminal defense attorney may be able to determine whether your procedural or constitutional rights were violated in the course of the arrest or custodial interrogation. In some cases, it is possible to get evidence suppressed because of a procedural or constitutional violation, and this can adversely affect the prosecution's case. In other cases, a more substantive defense may be available. If you are a victim of an accident, our firm can assist you in a personal injury lawsuit arising out of a car accident, a defective product, medical malpractice, a slip and fall, or nursing home abuse. We also handle workers' compensation claims. Many personal injury lawsuits require you to establish negligence. This means that you will need to prove that you were owed a duty that was breached, and the breach caused your injuries and damages. Often, insurers get in touch with an accident victim immediately after an accident to try to obtain information that would show that the victim was partially or fully to blame. Also, they might offer a low-ball settlement that is much less than what will be needed to compensate for medical bills, lost wages, and pain and suffering. One justification for doing this is arguing that the victim was partly at fault. If an insurer or defendant raises the argument of comparative negligence, the jury will evaluate the evidence and arguments to determine damages, and it will also assign percentages of fault. As a plaintiff, your damages may be reduced by an amount equal to your percentage of fault. This is why it is crucial to retain an attorney as soon as possible after being hurt in an accident caused by somebody else. Whether you are dealing with a civil matter or facing criminal charges in Rhode Island, it is important to consult an experienced attorney. At Bilodeau Capalbo, LLC, we have close relationships with our clients and a strong reputation for client satisfaction. Our Rhode Island divorce lawyers have offices in West Warwick and South Kingstown, Rhode Island as well as in Hartford, Connecticut. Call us at 401-300-4055 or complete our online form to arrange an appointment. Our firm boasts some of the most experienced and knowledgeable lawyers in the area. Because we have a broad range of professional experience, we are able to look at cases differently, allowing our clients the individual care and devoted attention to their matter that they need. We always take the time to get to know you and your situation in order to find legal solutions that keep your best interests at the forefront of everything we do. Our Rhode Island lawyers are well-prepared and highly-qualified to represent you and your legal issue. Fill out the contact form or call us at 401-300-4055 or 855-502-2529 to schedule your free consultation.